Beckman Avanti 30 Refigerated Bench Centrifuge w/ Fixed Angle Rotor F3602 . New Life Scientific, Inc. 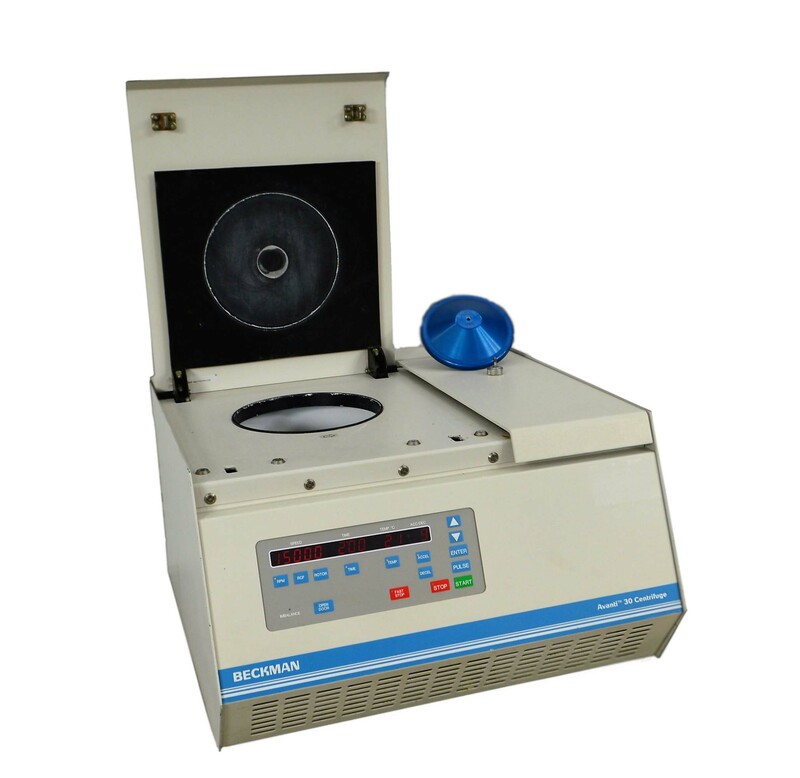 The Avanti 30 is a 30,000 rpm –20 to +40°C capable tabletop refrigerated centrifuge with an operating temperature range rated at 2 to 40°C. The included rotor is model F3602 which is a 45° Fixed Angle 36 slots x 2.0/1.5 mL tube rotor with aerosol-tight lid, capable of a maximum of 22,000 rpm (47,620 RCF) Max rpm @ 4°C is 19,500 (per factory specification). The technician tested the Avanti 30 with the fixed angle rotor's speed up to 15,000 rpm at 4°C. The rotor is rated for a slightly higher speed and the temperate was well within the manufacturer's operating range. After multiple test runs, the technician confirmed that the centrifuge spins balanced, quietly, and consistently over the duration of ---- minutes. *Dimensions: 26 x 24 x 15"